The term Gharana in Indian Classical music means a school or a style of music. It implies a family and a Guru- Shishya Parampara wherein the style of rendition of the student was a typical trait of its gharana itself. 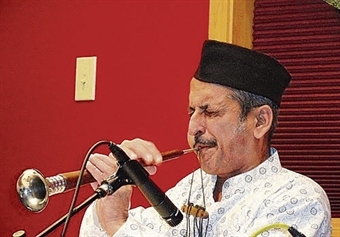 Traditionally from the past itself all the maestros of a Gharana have been very possessive of their Gharanas and have always tried to ensure that their Gharana maintains its own distinct entity. There have been Gharanas in Hindustani Vocal, Tabla, Sarod etc. There are the following Gharanas in Hindustani Vocal. Tabla has seen the emergence and development of following Gharanas. There are the following Gharanas in Hindustani Instrumental.